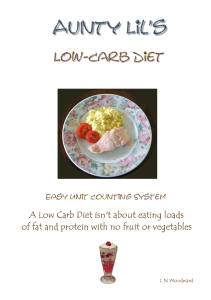 This Easy Low Carb Diet book contains a list of 50 easy meals to choose from and easy to follow, recipes. It’s short, simple but effective and all the meals are in easy to count ‘Units’, so you don’t have to read packaging labels and work out how much 100 grams is of a particular food. 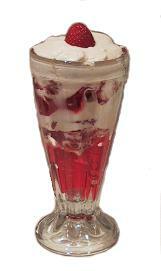 Download the PDF file here for Free. Please be patient. It might take several seconds to open. 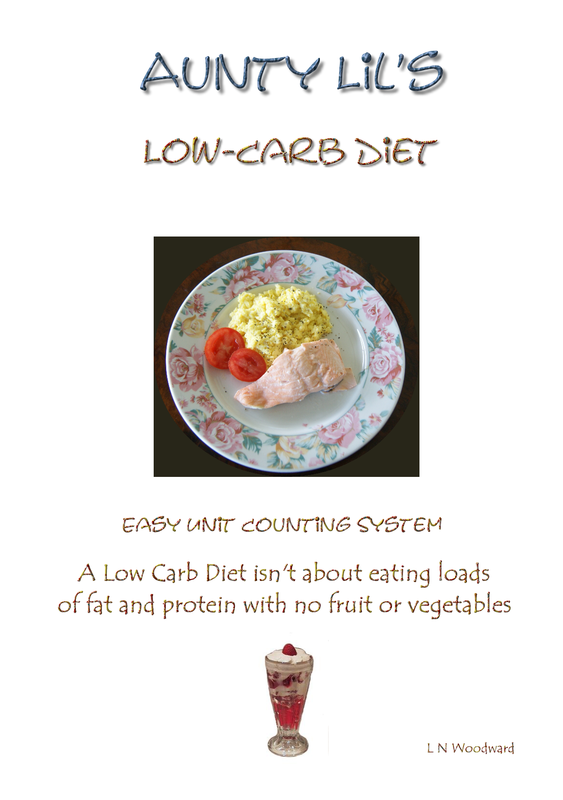 And to work out your own low carb diet units, you can also download Aunty Lil’s Carb Counter, listing 100′s of foods, so you can make up your own tailor made recipes to follow the diet plan.